The Nemalux XCANLED-AC is a durable and robust LED lighting fixture with a projected life span of 100,000 hours. This fixture has a pending approval for use in hazardous locations, and would be an effective solution for both industrial and commercial lighting. Equipped with 24 high power LEDs, the Nemalux XXCANLED-AC can be used for a variety of different lighting effects, although it was primarily designed for high brightness ambient lighting applications. 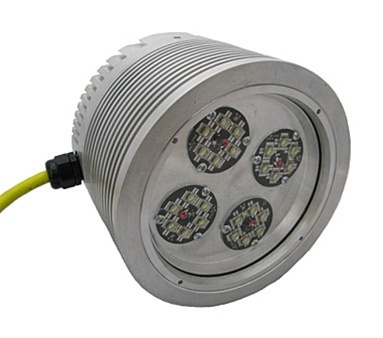 In some cases this LED solution can be used to replace HPS or HID technology. The fixture body is constructed from machined aluminum with a natural aluminum finish.